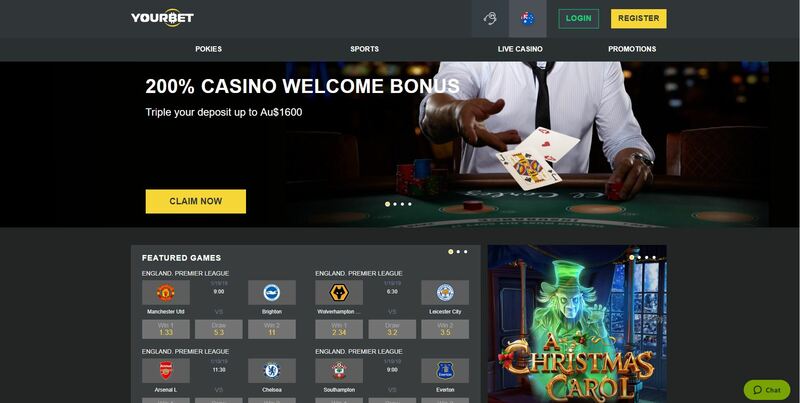 YourBet started its intriguing history in the middle of 2017. The casino is powered by Betsoft, NetEnt, Evolution Gaming, Microgaming, Belatra, MrSlotty, Tom Horn and World Match which seems to be enough for average player, but on the same side, it is not the widest range of games. For sure you will find everything for your relax, a real pleasure and a great time! Casino offers six popular sections: Casino, Sports betting, Live Casino, Virtual Sport, TV Games and Poker. In those sections you can find: Lucky, Poker Betting, Baccarat, Live betting, bets on video streams, different sports, Classic Texas Hold’em and all the Slots from mentioned before providers. Via the responsive search bar you can find every game you need so there will not be any problems to find your favorite game. YourBet Casino provides fast and superior customer support. Support team provides quite fast responses via Live Chat or e-mail and speaks English, Spanish, Portuguese, Russian, Ukrainian, and Turkish. YourBet Casino forbids accounts to be opened by, or make any deposits nor used from, customers who are residents of United States of America, Spain, Italy, France, United Kingdom, Russian Federation, Israel, Latvia, Republic of Ireland.